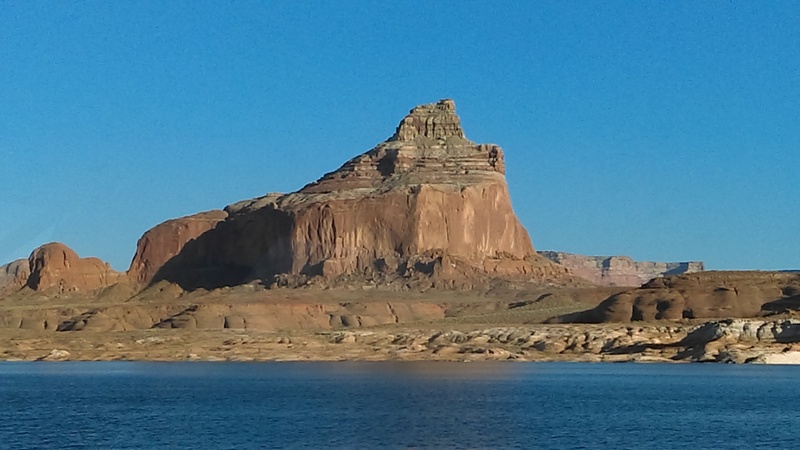 This photo was taken while on the Panoramic Cruise around Lake Powell yesterday. Enjoy! Why Tuesdays? Well, I know on Monday we all have to get back to work. By Tuesday, we’ve caught up and if we work in an office, we might have some time to take a few moments and check out blogs or whatever else we like to surf on the net. So, I hope that this post will be a good distraction for you and if you’re reading it in the morning, help you get your day started on a good note. And I promise to keep them short! They will include some new links of possible interest to you, thoughts about things for which I am thankful (it used to be its own series on this blog, so this is my way of bringing those back to life), and possibly different perspectives to help you get through the day. Hope you like this new series! By the way, if you need some cuteness overload, check out my new blog page: The Herd. Yep, there you will find pics of my awesome furballs. If you’re sitting at your desk, and not loving your job, think of it this way – you are earning a paycheck, and outside of work, you can work on changing our work situation. Spend some time updating the resume, or take time to research into other options, even if it’s only on your lunch break. If you feel stuck, take at least one small step today to make yourself unstuck. It’s empowering. Trust me. For me, I’m grateful to at least have money coming into my life that allows me to put a roof over my head and that of my pets. I just need to stay disciplined, and it can help me to save money for my new future that I’m envisioning right now. I’m very thankful that my family (my older brother and his family) have been able to travel to the southwest for a week. They are spending a few days in Lake Powell, and then heading to Flagstaff on Tuesday. I’ll be hanging out with them for the day! It has been over a year since I saw them. As I’ve been trying to gain control of my financial life, I’ve started seeking out others who write about this field and came across some awesome podcasts: Budgets and Cents, and Martinis and Your Money. Both make me feel like I’m listening to a conversation between friends, and I’ve definitely been binge listening! The latter had an amazing episode called Frugality for Depressives. Having struggled with depression, it really hit home and the lady she interviewed had some really insightful comments. Sometimes you need a little inspiration or to see beautiful things to help you get through your day – I hope you enjoy these two photography blogs that I’ve just added to my links (can’t believe I didn’t do it before): Adventures of Dorrie Ann and Joyfully Green. Like I said above, check out the newest page on this blog, The Herd!! As I said, I want to keep these posts brief, so I hope you will all have a good Tuesday! If you have anything you are thankful for in your life right now, please feel free to drop a line below and let me know what it is! And if there are some good links you want to share with others, please do that too!